Designed by Robert Trent Jones Senior & Junior in 1970, Laguna Seca Golf Course is carved through the oak-studded hills of Monterey County between Monterey and Salinas. Presenting narrow uneven fairways, a host of strategically placed bunkers and Uphill doglegs, Laguna Seca Golf Ranch will challenge every golfer. The hilly typography of this layout will force you to use creativity on your approaches. Most of the poa annua greens are big and receptive although a few are deceptive when considering the line. The signature hole is #15. This 548-yard, par 5, requires both the tee and approach shots to carry over water and is shaped like a snake. The Practice facility is one of the better facilities in the area, well designed and functional. 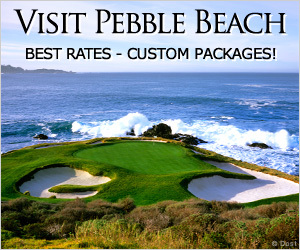 Yearly mini-memberships are available which offer some of the best rates on the Monterey Peninsula and include play at Rancho Canada East and Rancho Canada West. 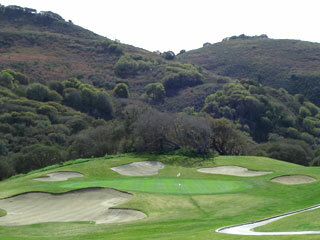 This course is managed by Rancho Canada Golf Club. 7 miles from the center of Monterey.